There’s an old joke that goes, ‘I looked up fun in the dictionary, and it said, see money.’ That punchline should now be rewritten to say, ‘see Twang!! 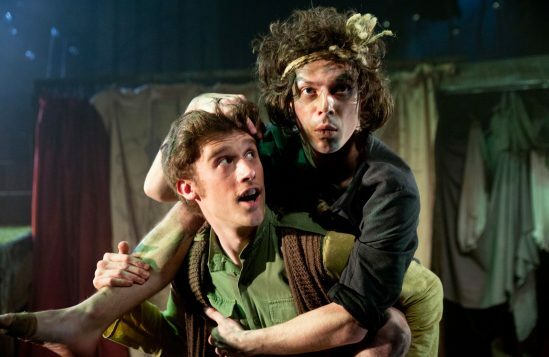 ’ Julian Woolford’s reworking of Lionel Bart’s 1960’s historical/musical flop is a complete hoot - an incredible, fun-filled, witty production, proving the point that history can successfully be rewritten. 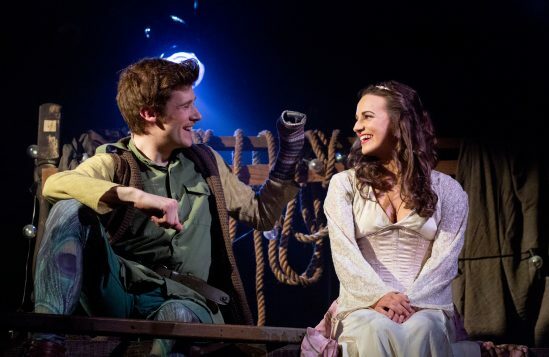 While incorporating Lionel Bart’s original score, together with a running joke featuring Sir Cliff Richard’s 1959 top-selling ‘Living Doll’, the production is stuffed-full of hysterical, cleverly-constructed references to musical theatre – Cabaret, Les Mis, A Chorus Line, Chicago to name but a few! That having been said, the ultimate success of Twang!! is the brilliance of Bryan Hodgson’s slick direction and Mitchell Harper’s inventive choreography of the sixteen-strong cast who attack the piece with complete gusto and unreserved enthusiasm. Leading his merry, camp men is Peter Noden as Robin who holds this romp together, but it is difficult not to talk about everybody in this knock-out ensemble. 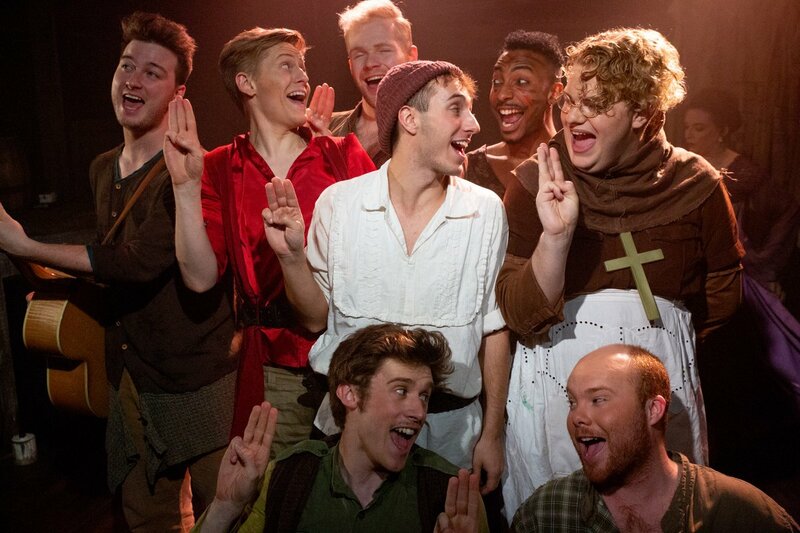 There are standout performances from Kane Verral as Will Scarlett, Christian Lunn as Little John and Louie Westwood as Friar Tuck. Jessica Brady gives a funny, larger-than-life yet touching performance as Delphina, the love interest to the shy and ‘musically-confused’ Much, enchantingly played by Joe Rose. Lionel Bart’s score, with excellent orchestration by Richard John and Oli Jackson, is under the skilled care of Henry Brennan. Sadly, I would like to say more about him but would have to issue a spoiler alert – so you’ll simply have to go! 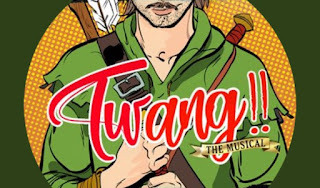 Twang!! 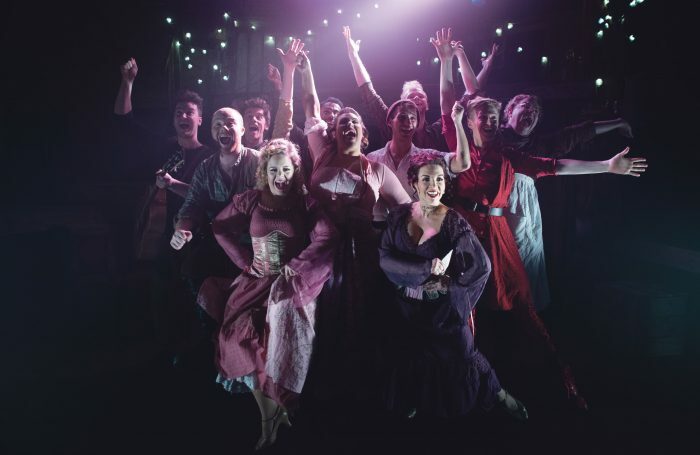 is a smart, witty and entirely refreshing piece of musical theatre with serious laugh-out-loud moments, delivered by a wonderfully gifted company. Without a doubt, this production deserves a life after the Union and let’s hope that a small West End theatre (Ambassadors?) can be found soon. But, in the meantime, don’t hesitate or you’ll miss out on the best fun and, what will surely become a cult classic!! 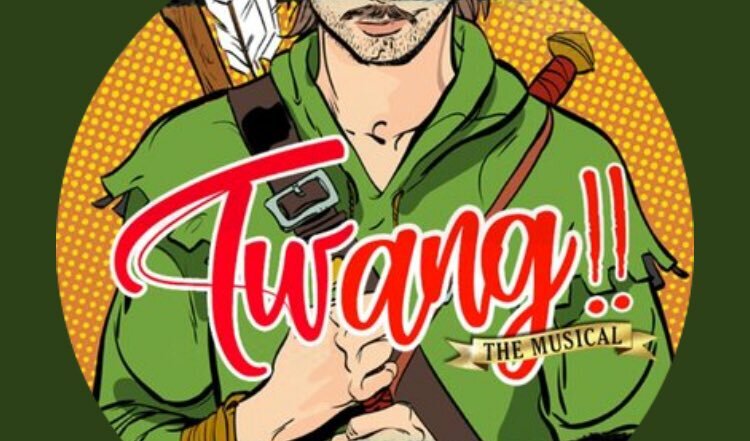 Bryan Hodgson Christain Lunn Henry Brennan Jessica Brady Joe Rose Julian Woolford Kane Verral Lionel Bart Mitchell Harper Peter Hoden Robin Hood Twang! !